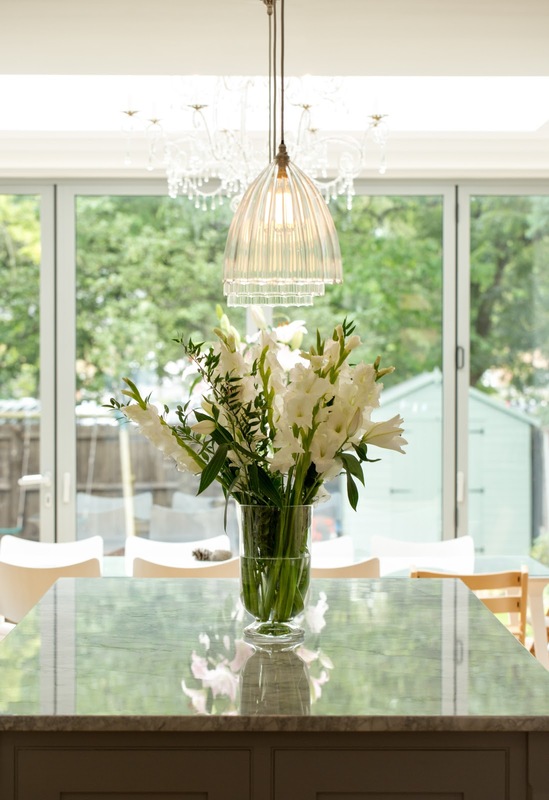 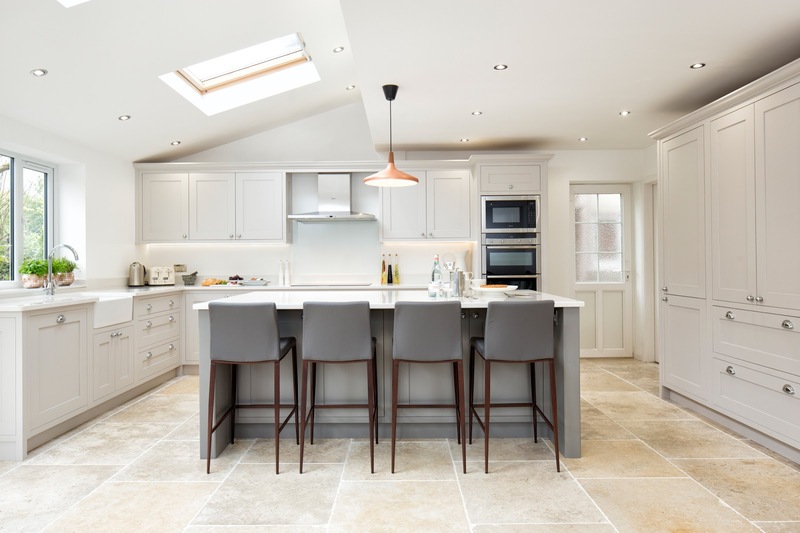 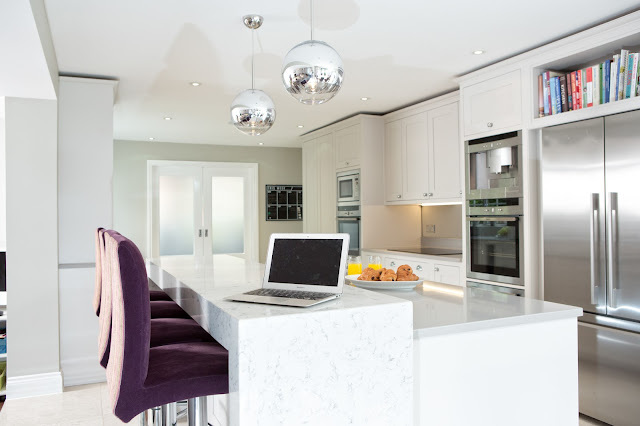 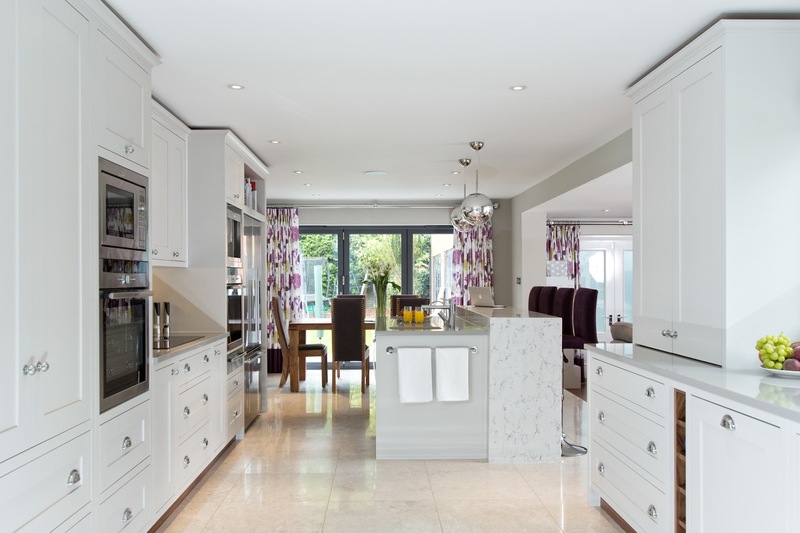 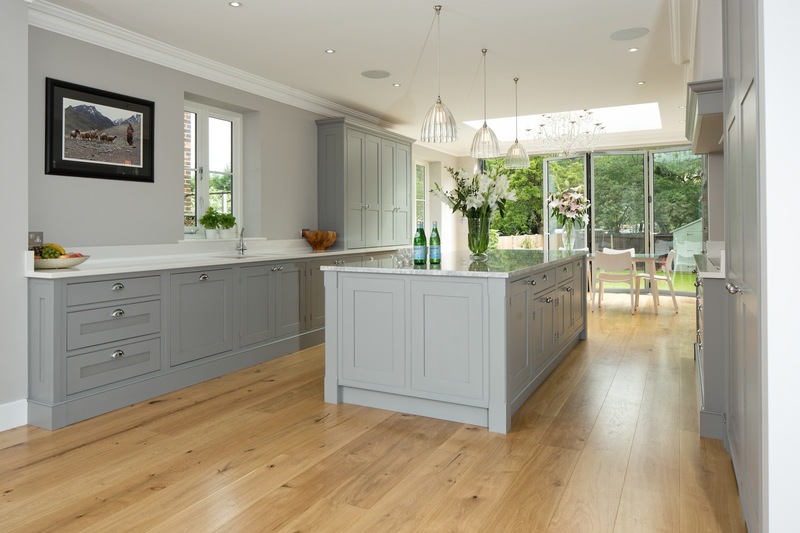 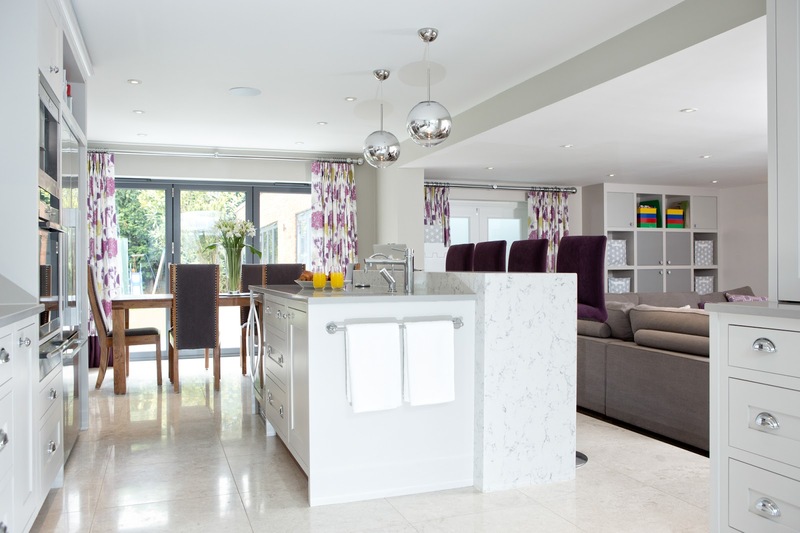 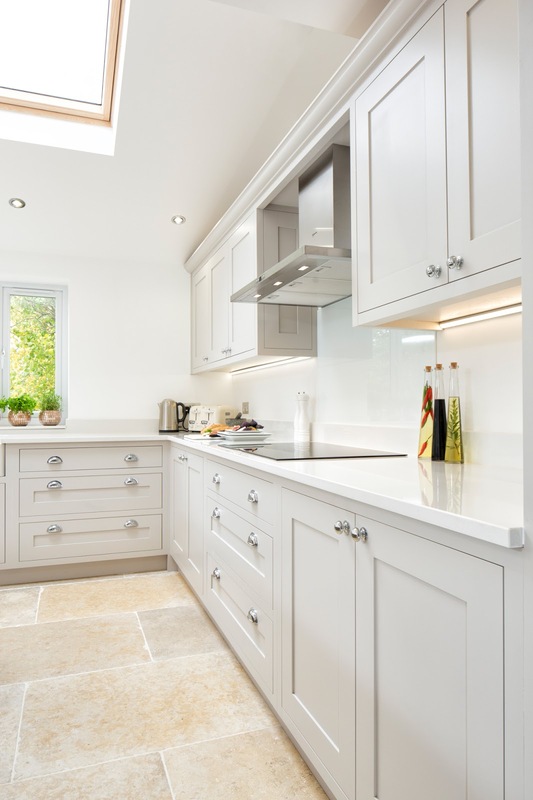 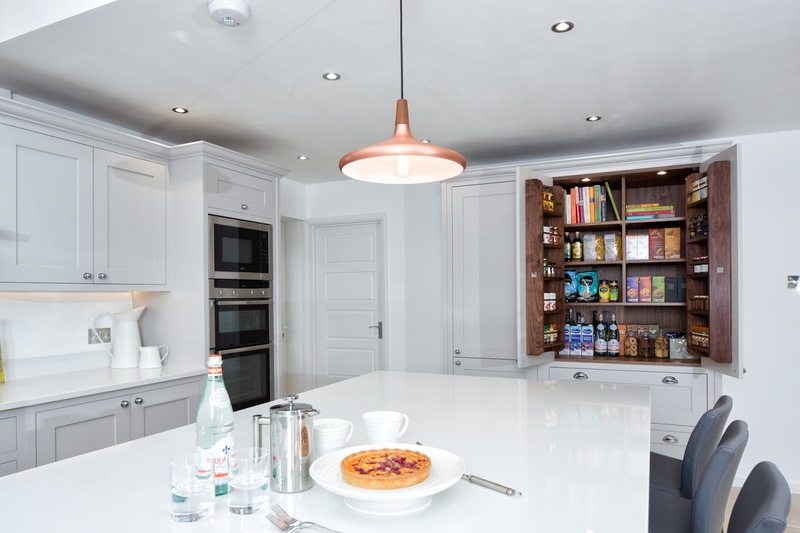 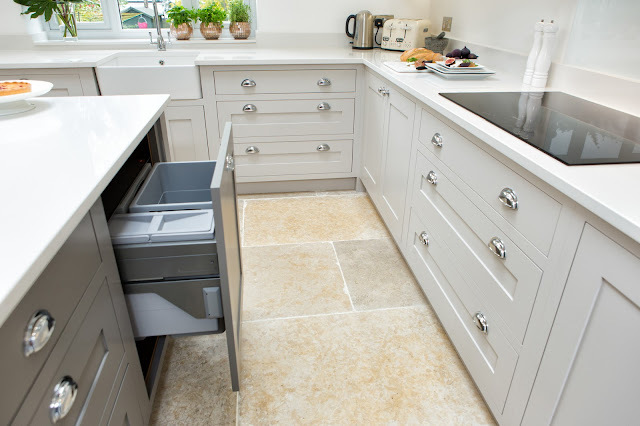 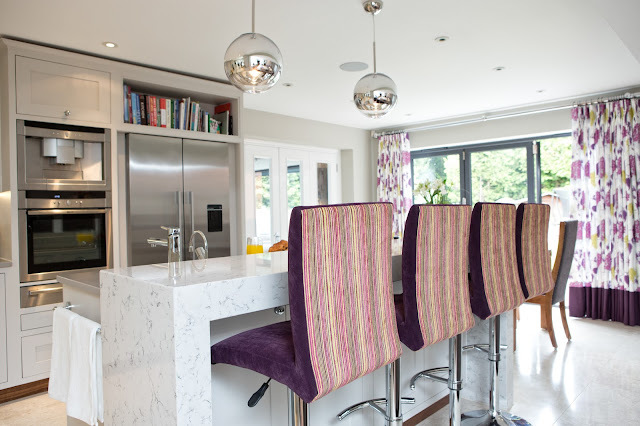 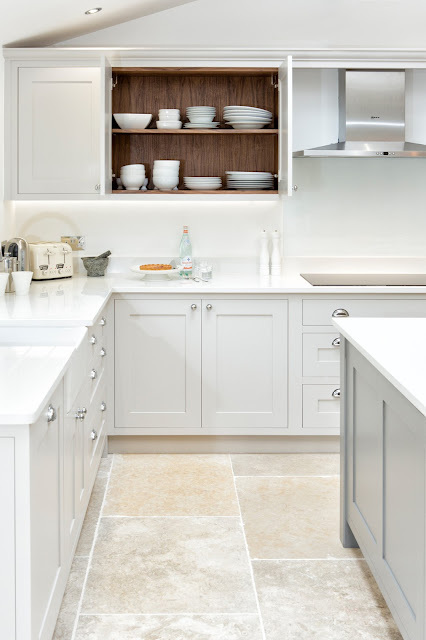 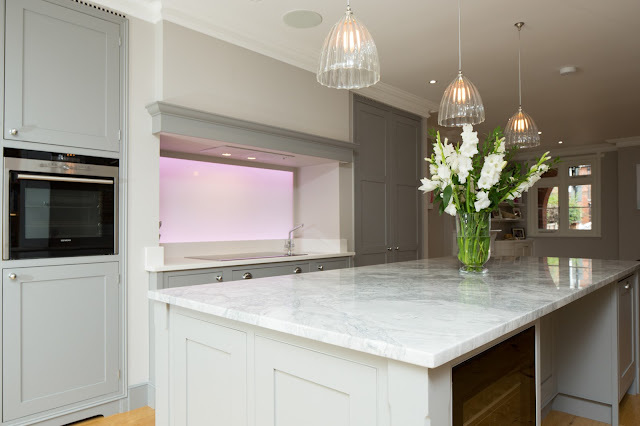 We always get very excited about sharing our latest projects and this kitchen is no exception! This is a fantastic kitchen space with a real wow factor. 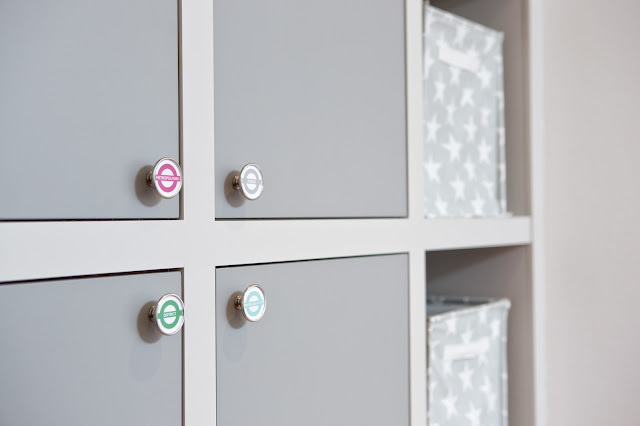 It’s a clean and simple shaker design with minimal detailing for a more contemporary look. 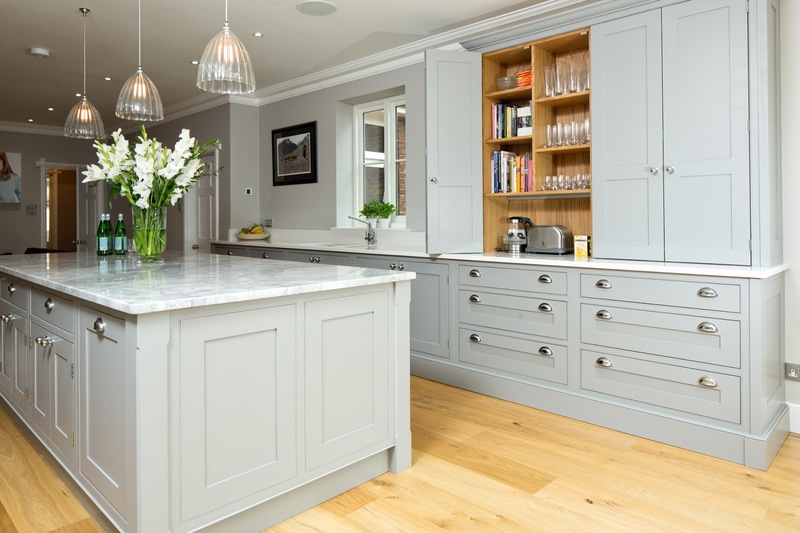 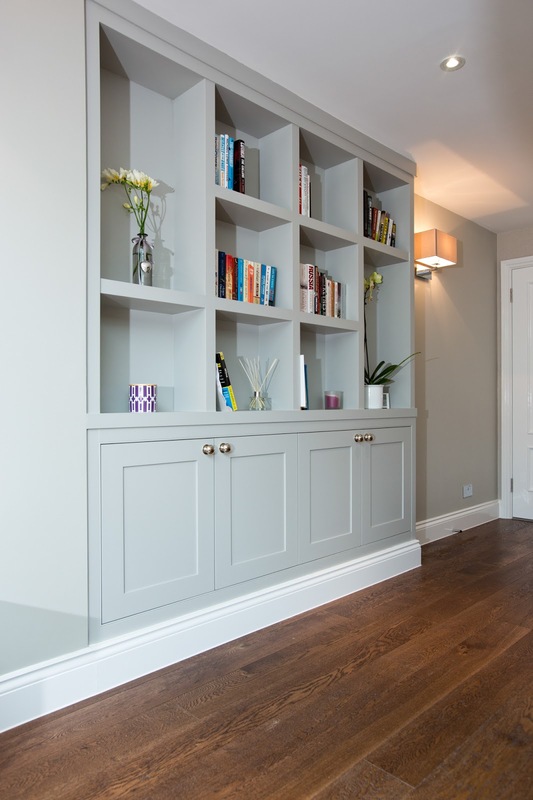 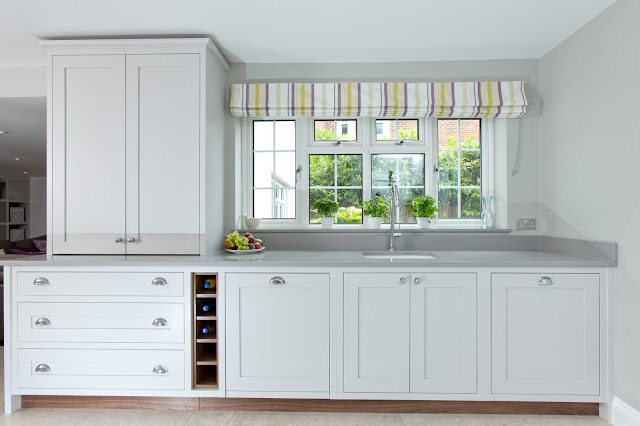 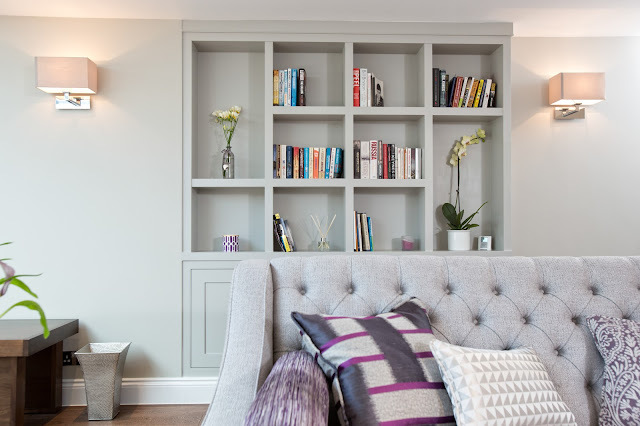 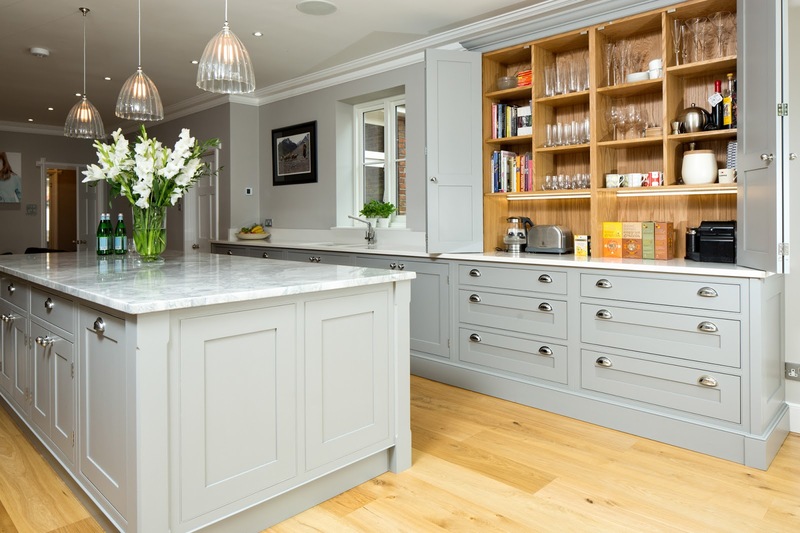 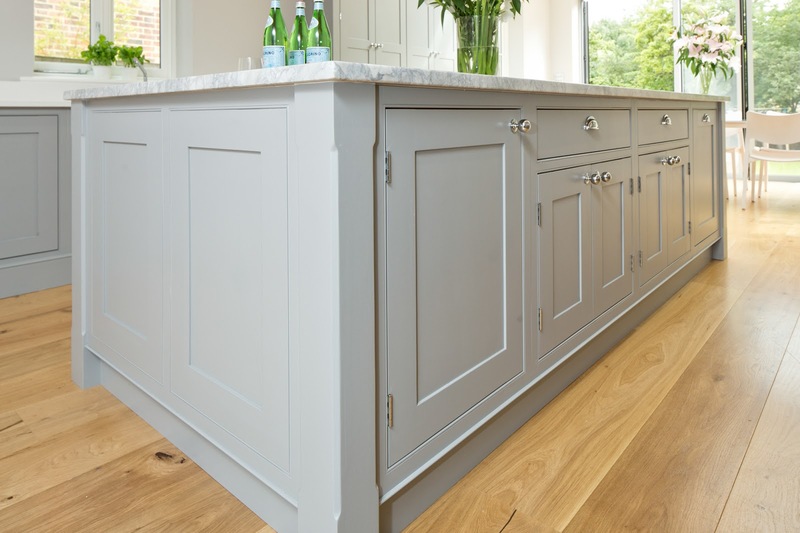 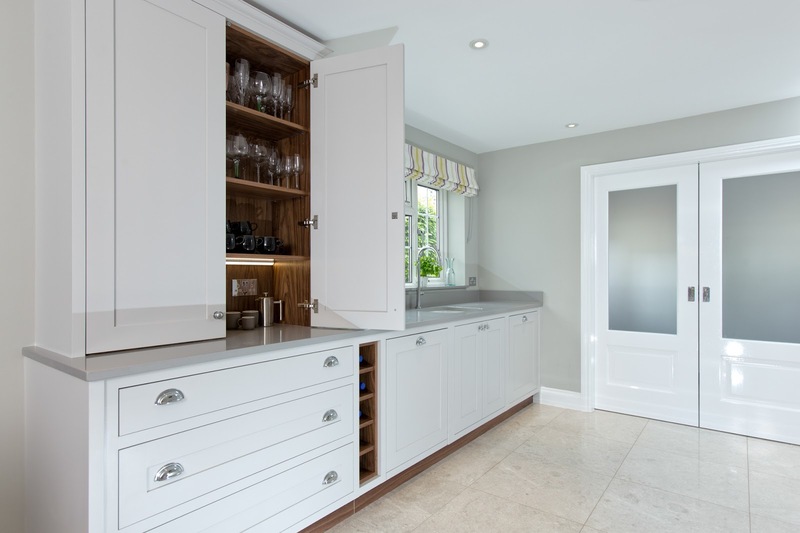 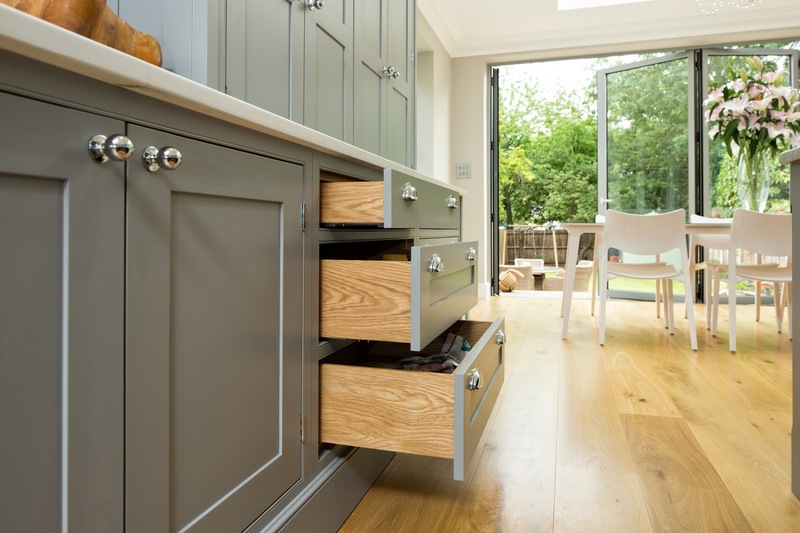 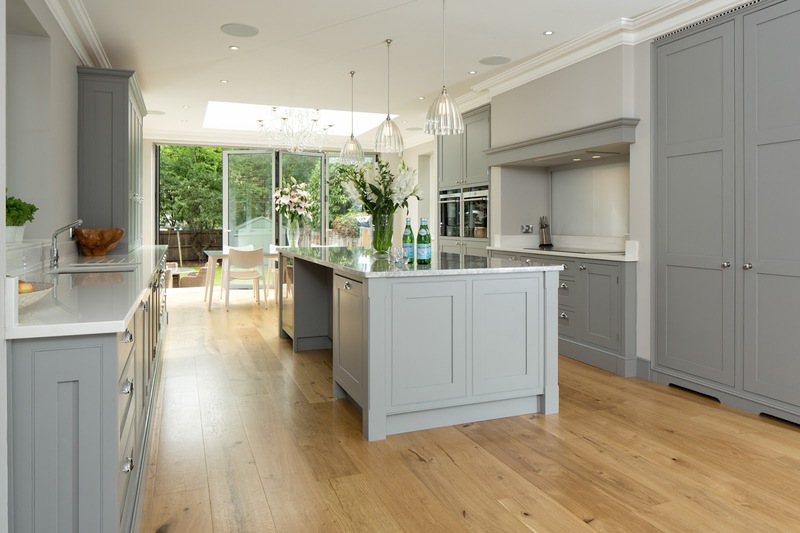 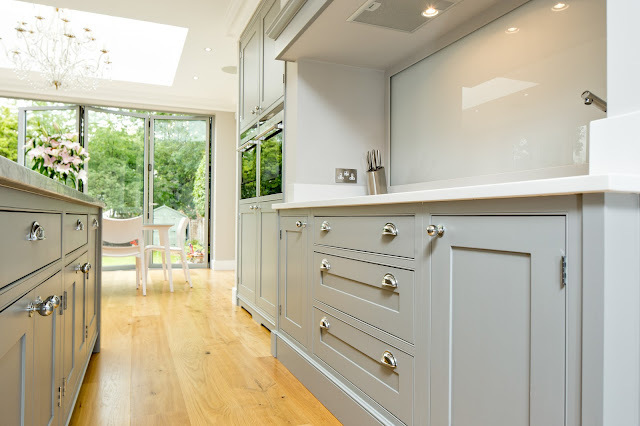 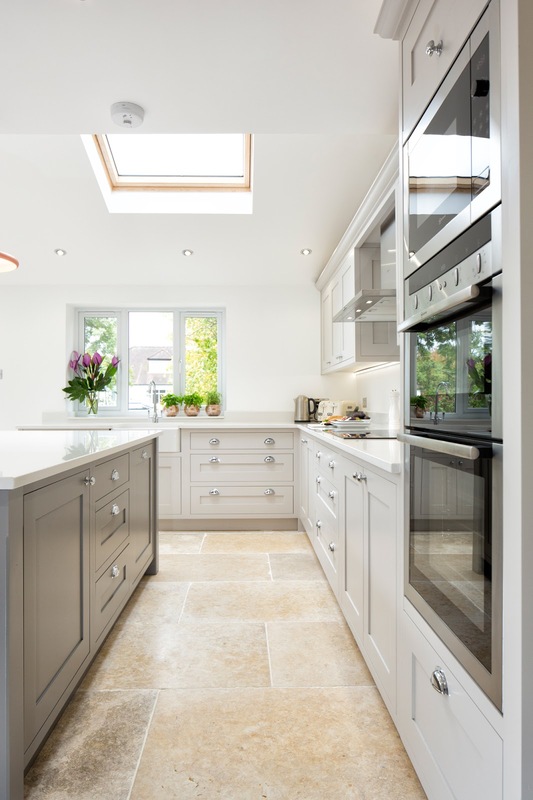 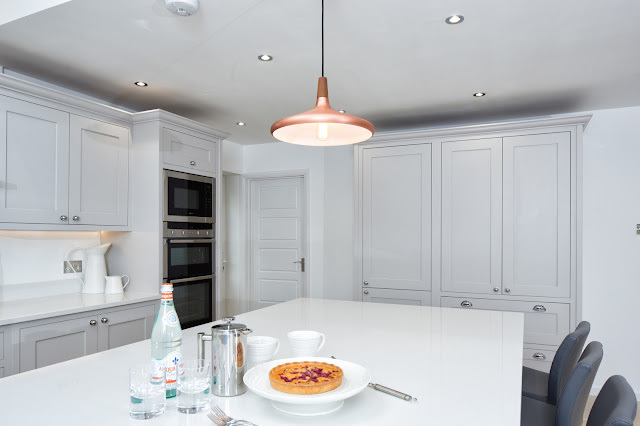 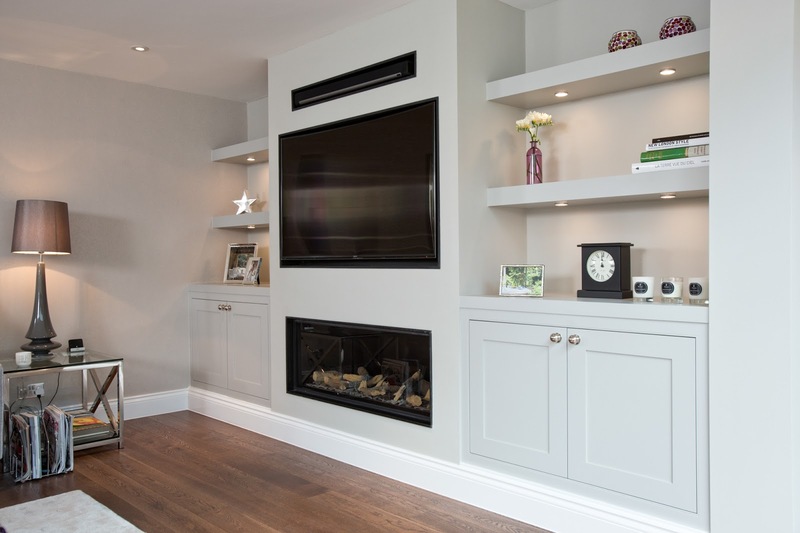 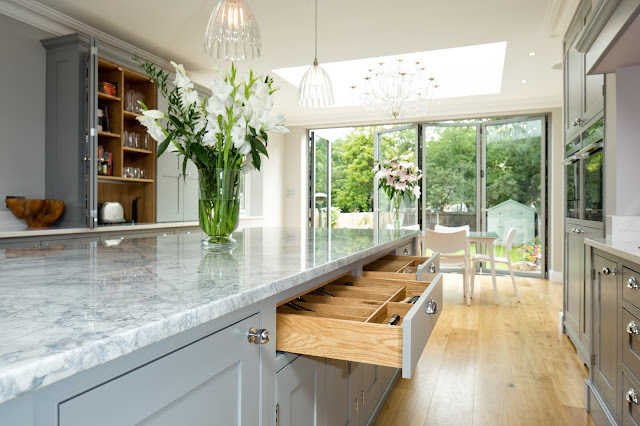 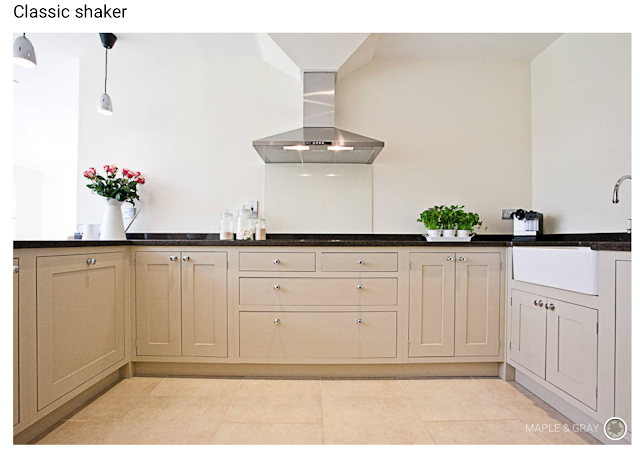 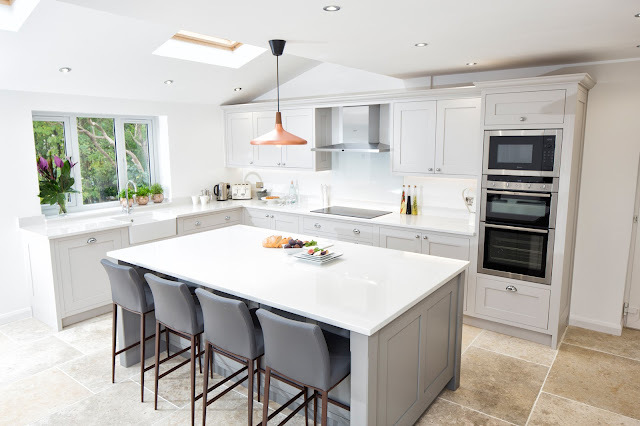 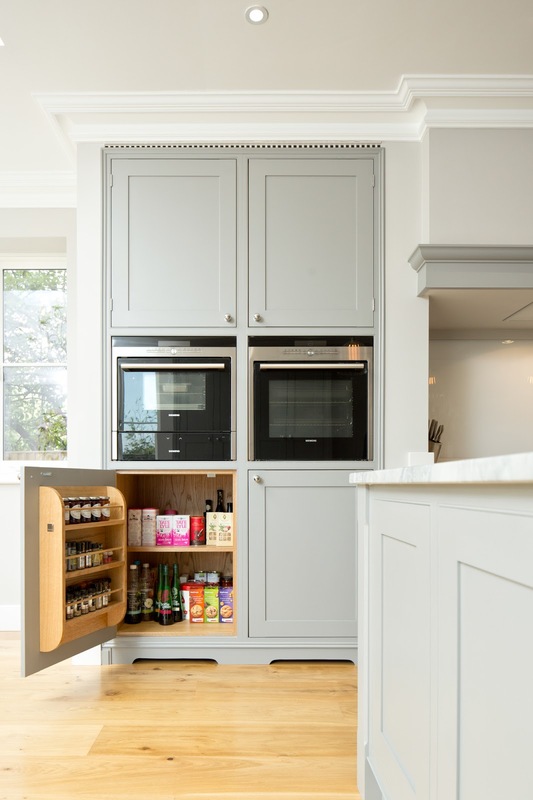 The cabinetry is painted in contrasting shades with the outer units painted in Farrow & Ball Cornforth White and the island in a slightly darker Moles Breath. 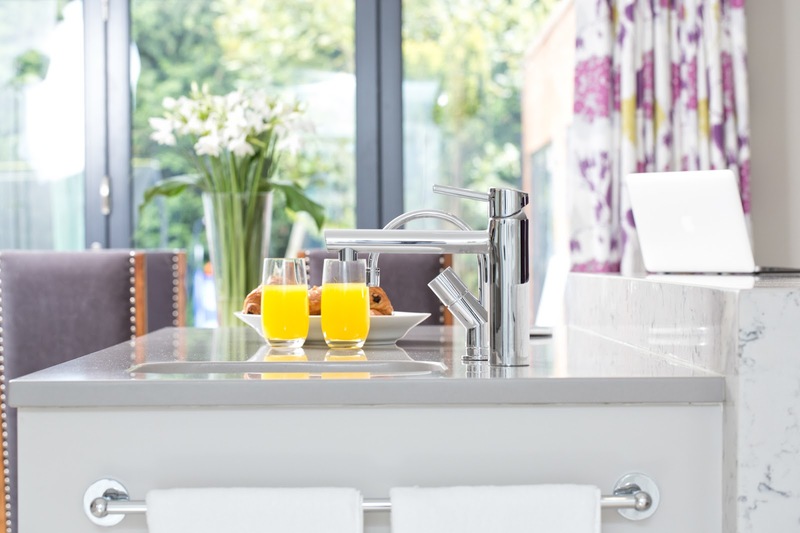 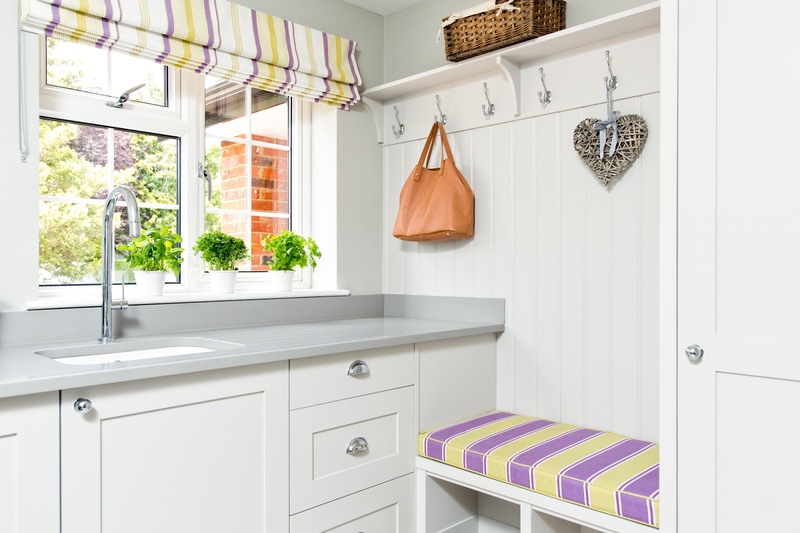 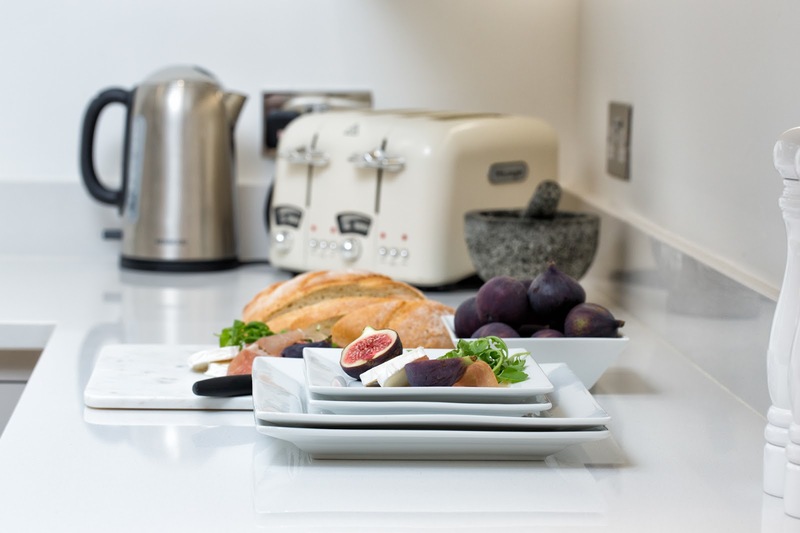 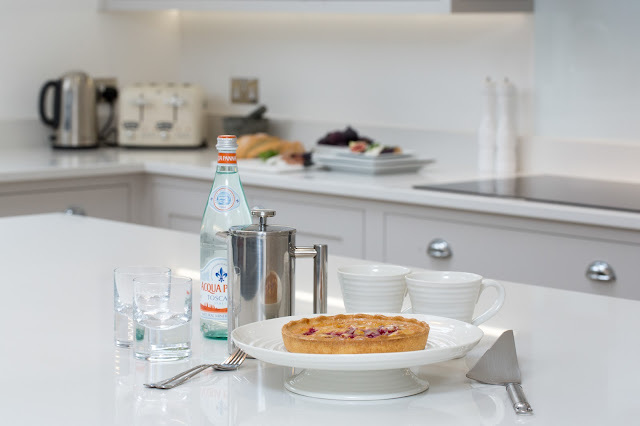 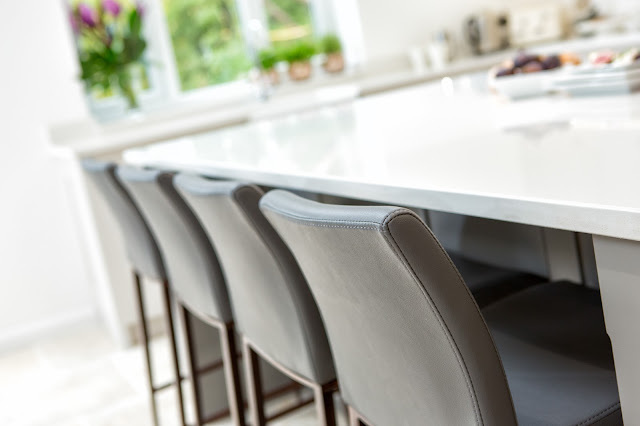 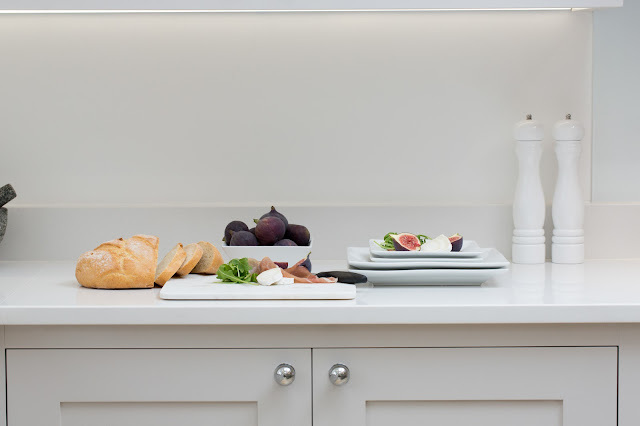 The speckled white worktop is Samsung Everest White which goes beautifully with the two tone cabinetry. The island is a really striking focal point in the room and makes it a really sociable space. 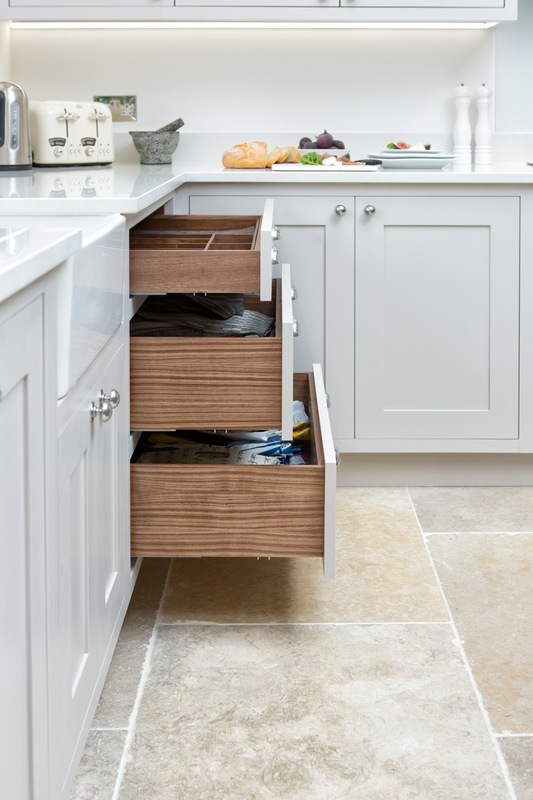 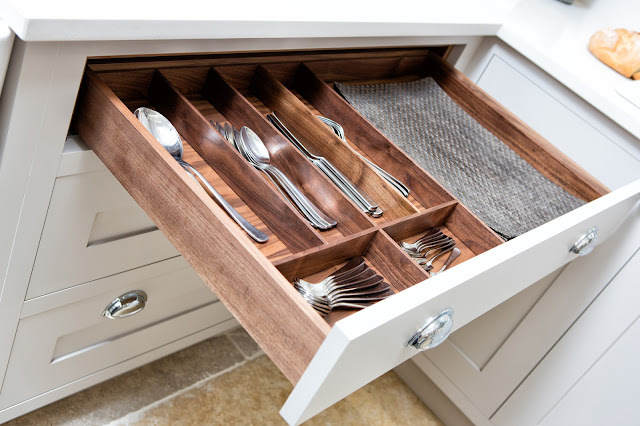 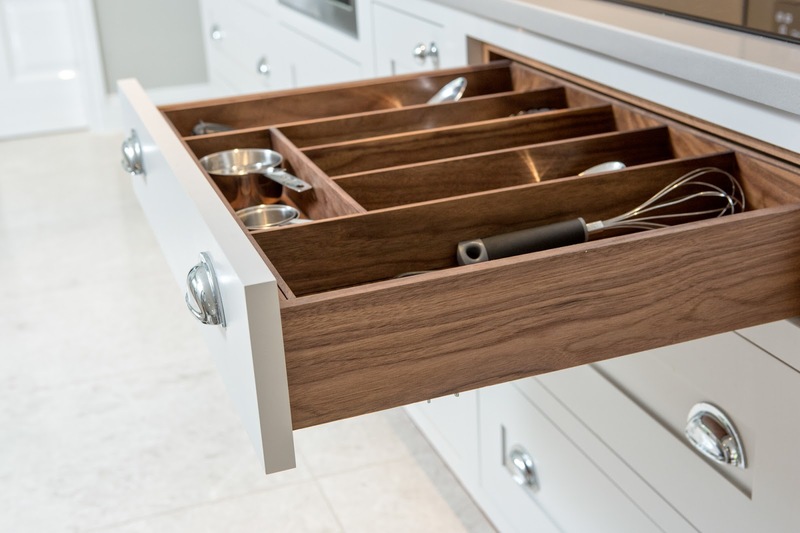 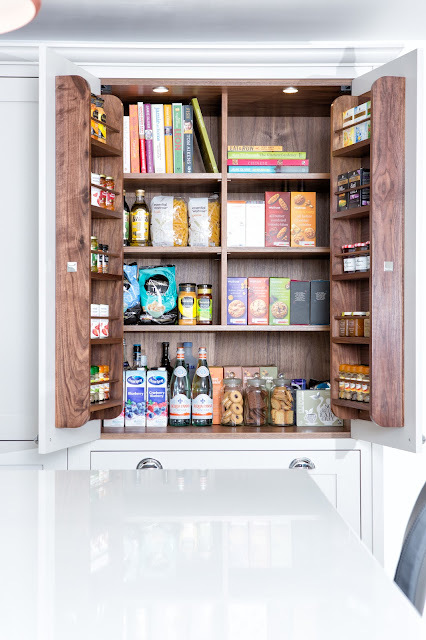 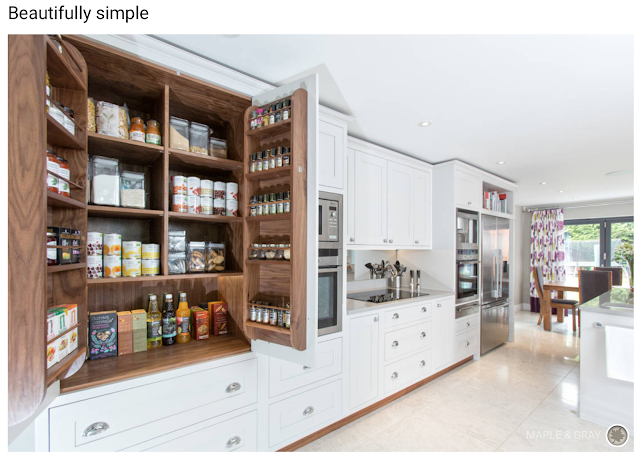 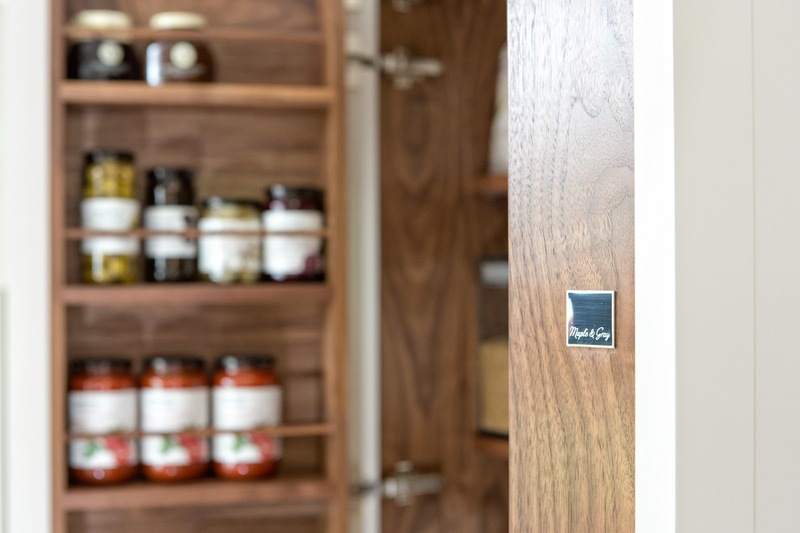 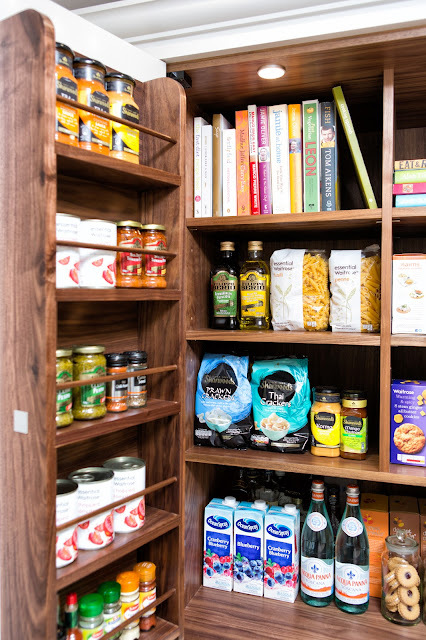 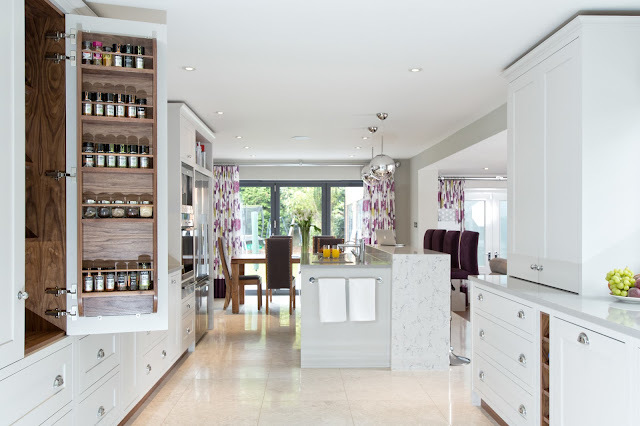 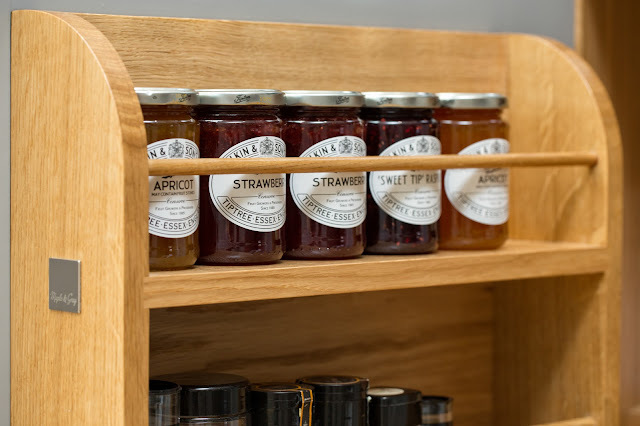 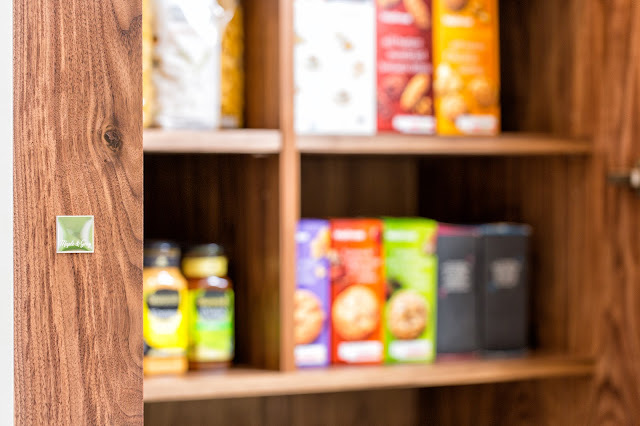 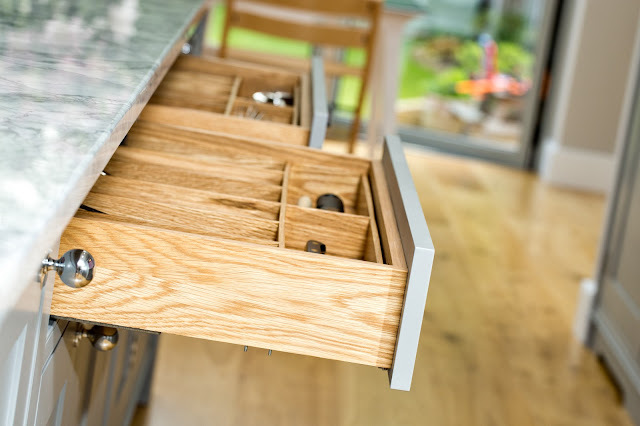 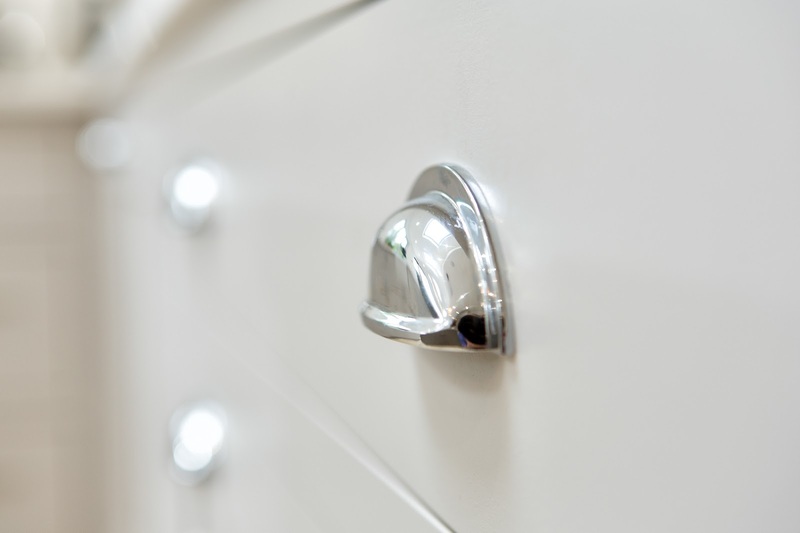 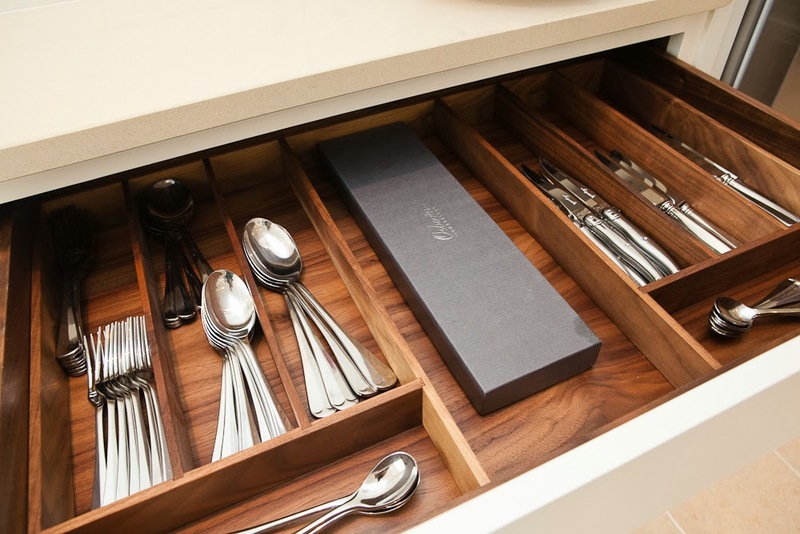 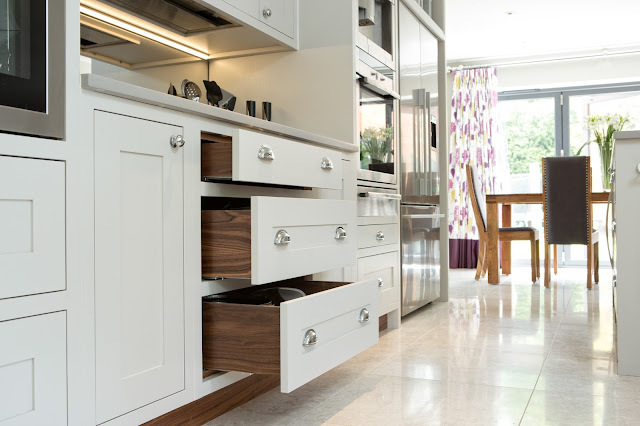 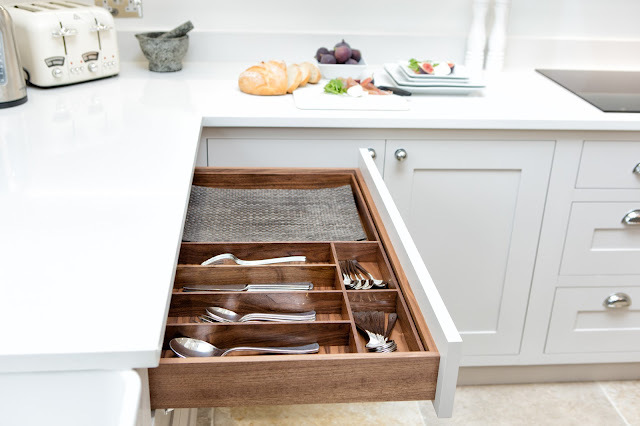 The walnut larder and solid walnut cutlery dividers add really luxurious touches to the kitchen and create a truly bespoke feel. 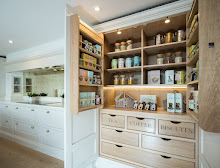 A huge thank you to Martin Edwards Photography for our fantastic photos!! 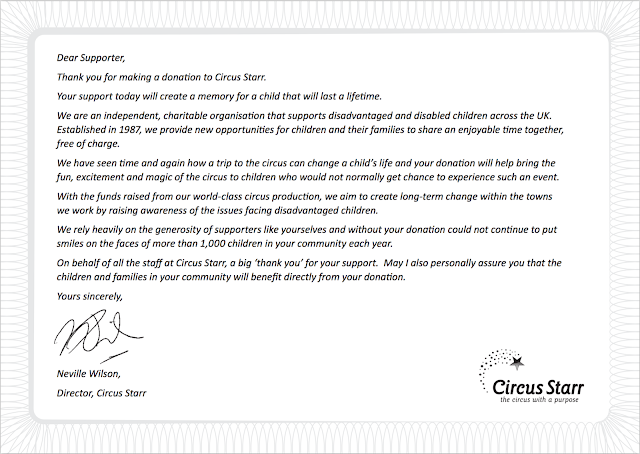 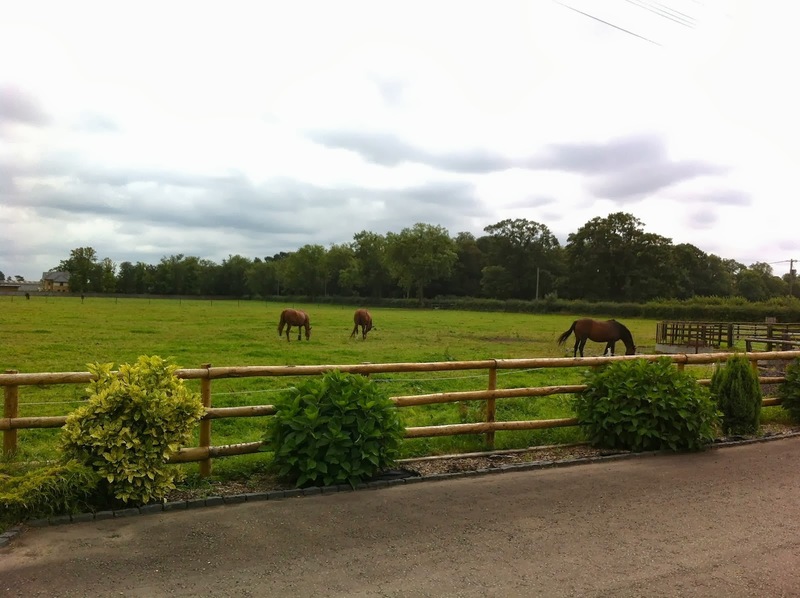 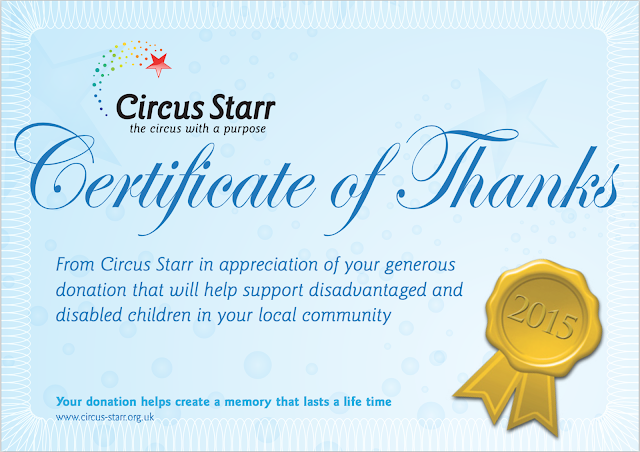 We're delighted to be supporting local Children's Charities and Circus Starr this year.